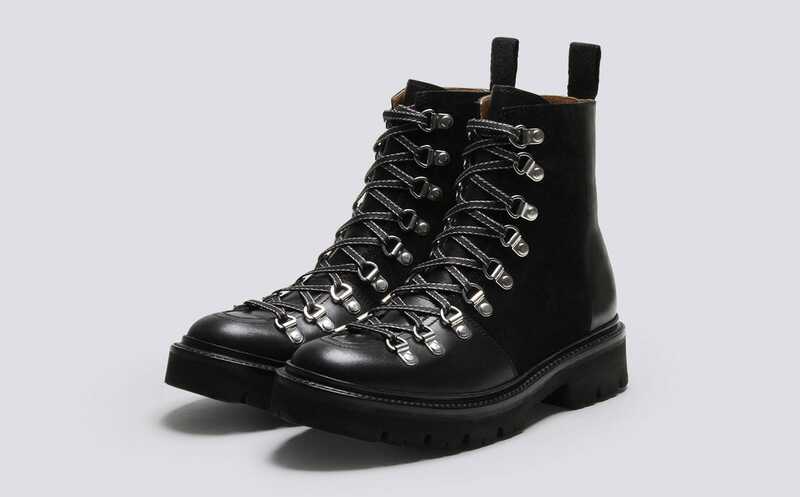 You'll have noticed that the prevailing footwear trend of the past few winters has been the hiking boot. 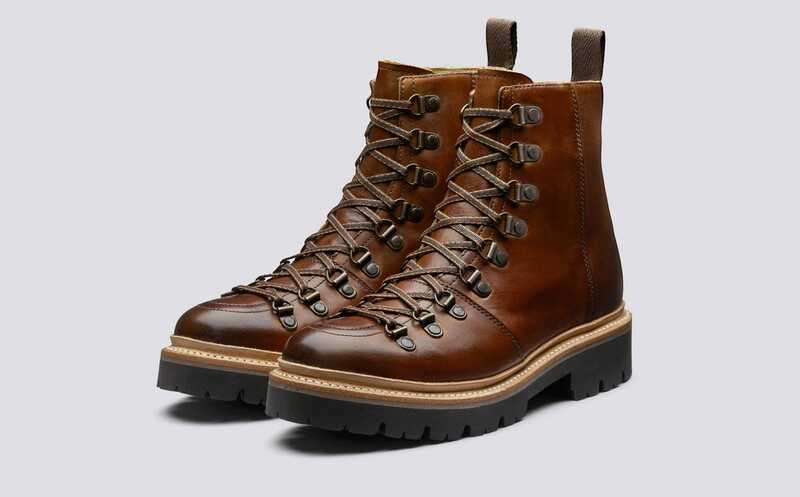 Born out of the popularity of practical brands (think Patagonia and The North Face) and a move towards the 'ugly' aesthetic (as evidenced by Crocs and Birkenstocks), the hiking boot is functional in its comfiness, and statement-making in its lack of prettiness. Never mind the fact that you'll find those of us wearing them pounding city pavements rather than climbing a cliff face. While there is an abundance of sturdy yet stylish boots out there – Dr Martens' Sinclair, Office's Atomize, and Alexachung's Heavy Tread all deserve a mention – the undisputed winner is Grenson's Nanette. Launched back in 2015 by the heritage footwear brand, creative director and CEO Tim Little explains that the boot's design was conceived in New York, rather than on the Norfolk Broads. "After a conversation I had with Ronnie Fieg of Kith, in which he said he thought that the next big thing would be old school hiking boots, I went home and created Nanette," Little told Refinery29. What is it about the boots that has everyone wearing them, from your favourite influencers – think Brittany Bathgate, Pascale Banks and Liv Purvis – to sartorially switched-on celebrities like Jodie Comer, Bella Hadid and Hailey Bieber? "I searched literally everywhere for vintage mountain, Alpine and hiking boots to see what it was that made them iconic," Little says of his design process. "Basically, it's all about the eyelets and lacing." The £265 commando-soled Nanette has a round toe, nine eyelets, criss-cross monochrome laces and a suede panel – but the clincher? They're super lightweight, and don't need breaking in before wearing. Not a blister in sight. Despite all the design elements, they still look sleek and unfussy, which could be the key to their recent success. "I think they look very simple and iconic, but they can be worn dressed up or down, which is a huge benefit," Little says. "The key for me is that they are the perfect mix of modern and vintage, which is often very difficult to achieve." Need proof about their popularity? The brand had sold out of the style three times already, but when I'm a Celebrity presenter Holly Willoughby wore them on the show, the last 500 pairs went within an hour. Three weeks later, Grenson had another 500-pair drop, which went on to sell out in just ten minutes. 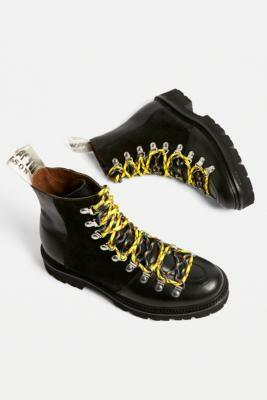 Whether worn with trousers or chunky knitted socks for a Ben Nevis look (go for the House of Holland x Grenson pair, complete with climbing paracord laces), with bare legs and floral dresses for a more Scandi take, or with your favourite denim for a city-appropriate feel (the tan pair is ideal for this), they're as versatile as they are comfortable. There's just one rule with these babies: be quick, or you'll miss out.